Black Friday 2018 has come and gone, but your financial security is not safe just yet. Sony’s launched a brand new PlayStation Store Flash Sale in North America which has seen a ton of titles discounted. Some of the highlights include Battlefield 1 for $4.99, Burnout Paradise Remastered for $7.99, and Gravity Rush 2 (hello!) for $5.99. These are real bargain bin prices. Some other highlights include Hitman for $14.99, Mass Effect: Andromeda for $8.99, and Need for Speed for $5.99. Even PlayStation VR is in on the action, with the likes of Creed: Rise to Glory up to 70 per cent off, down to just $8.99. Of course, these offers will expire on Monday, 3rd December at 8AM PT, so you’re going to have to move relatively quickly. You can peruse the full list of offers through here. One that caught my eye is GR2 for $5.99. Really enjoyed the demo years ago, but still haven't played GR1. There was 1 PSVR game as well but I'm still thinking PSVR games replace PS3 games on PS+ in March. @rjejr I’d pick up GR1 and 2 if I were you. I haven’t played the second one yet, but the first one is great. Can easily be put down and picked back up over the course of a few months also. @rjejr Hey there! 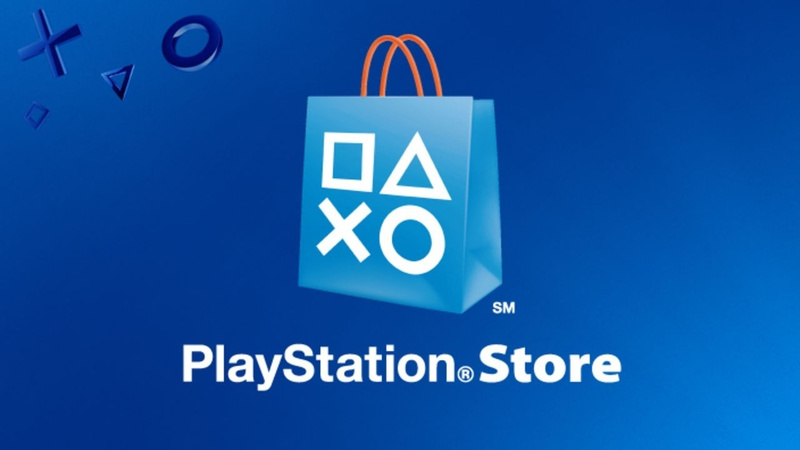 Did you purchase anything during the Black Friday sale on PSN? @TowaHerschel7 Odin Sphere Leifthrasir is in for a really good price — 70% off ($18 on PS4 or $12 on Vita) I’m a little tempted at that as it’s supposed to be a great game. GR2 for $6 is a steal. I’m also tempted also by Divinity Original Sin for $10 or The Bioshock Collection for $15. Alas, my backlog is big enough. @rjejr I got Final Fantasy XII: The Zodiac Age myself. @Th3solution I have the original on PS3 and the remaster doesn't seem worth more than $10 if you already have the PS2 version. @TowaHerschel7 Actually they completely changed the battle mechanics making it way more fluid and diverse (more animations). Additionally a skill tree to complement this. Also reorchestrated and added music. Given additional areas to the standard ones, most notably the Kingdom of Titania and Fairy Kingdom. And even newer mid/bosses to complement the improved stage designs and battle mechanics. A newcomer should definitely get the improved version. And I do still recommend a revisit from those who have it on PS2 for the reasons above. It really is a fresher experience. There's even a bit of end game content if you're really challenging yourself. Plus its all in beautiful, hand drawn HD from the masters of the craft: Vanillaware. Strider is $3. That's a major steal and a good game to boot. @Stragen8 I'm weighing getting a new game vs. the never ending backlog. Though I did realize I have nothing on my Christmas list so that's priced as a stocking stuffer. @TowaHerschel7 I wanna say no, but I did talk my kid into buying Hollow Knight for $7.50 b/c it seemed like his kind of game. Though it got too hard about 8 hours in. I bought VR Worlds about a week before. Played it for about an hour then the outer space part made me sick and I had to stop. I'm only playing PSVR sitting down from now on. UK Store has a flash sale as well. Picked up Titanfall 2 for £4. Bargainous! The ninja game is at a decent price Aragami. Damn I have to write a paper or two. That was a nice distraction. @Th3solution i picked up odin sphere, i have been waiting on a good sale for it. Also got GR2, i played the first one alot but never finished it, was a great game. If anyone else wants to save some grief, the Capcom Puzzle Collection (PSP)for use on your Vita or PSTV, be sure you have a PS3 still to download and transfer the thing. I'm so disappointed...but it was $3. May get Titanfall 2 & one of the Japanese games (though not sure which one yet). @TowaHerschel7, a few Hyperdimension Neptunia games, & Fairy Fencer F as far as I can see. Maybe Sniper Elite 3 for $8. I'm not sure if it has aged well though. @RedMan33 Haha, I definitely wanna try to get started on it before the end of the year - been watching the lore videos and a Youtube walkthrough recently, as I really love the Lovecraftian atmosphere...I know that's kind of cheating, but I need all the help I can get tbh! I always check these out to see if anything on my wishlist has been discounted. Nothing this time, so my money is safe. Ended up getting Titanfall 2 Ultimate Edition, School Girl Zombie Hunters, & Unraveled for just a tad over $23 (I also stacked the 20% off code that came with my system). Jokes on you, my wallet is already busted. On a more serious note, I already bought everything I wanna buy of the things that has came out. So sales like this mean nothing to me, sadly.